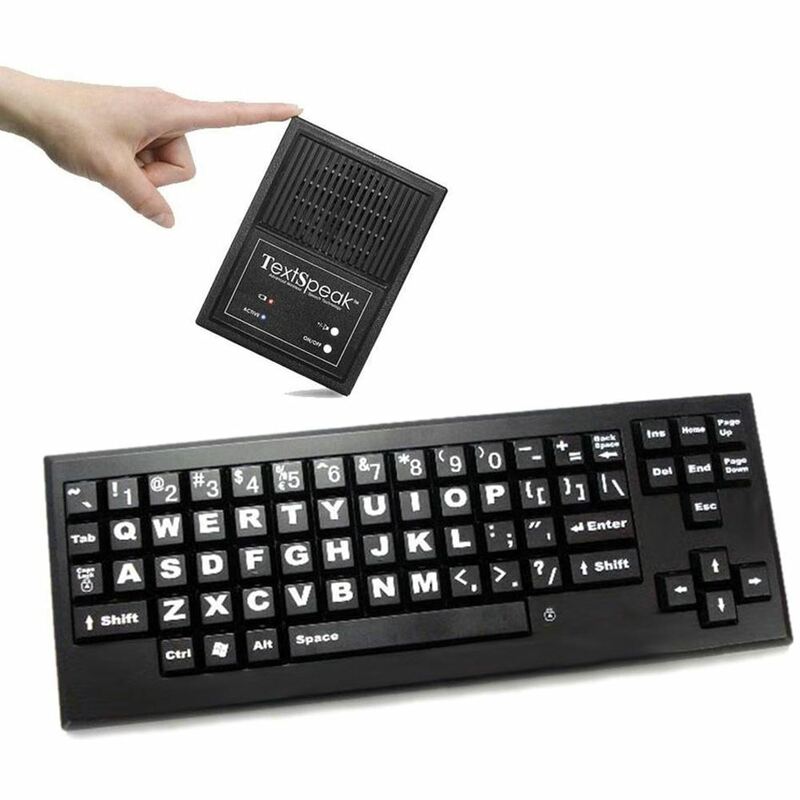 TEXTSPEAK™ The world's first speech generator in a 4" x 5" package is even better! It now comes with male and female voices and in English or Spanish-all in one. It's simple, completely portable and so affordable. Ready to use right out of the box-simple directions to easily select the voice and language you want and save it. Can be changed as often as you want. It is great for temporary or long term needs. 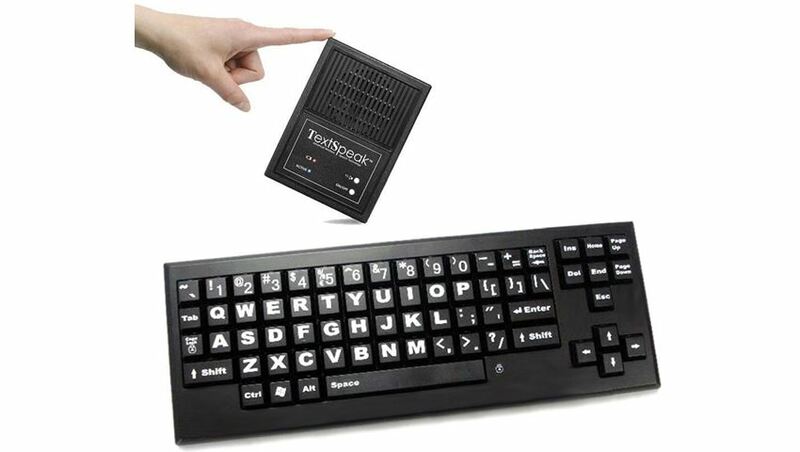 The intelligent text-generating speaker and keyboard can create speech anywhere, right at your fingertips. Just type and press ENTER and it talks for you! Generates unlimited vocabulary speech and can hold up to 30 programmable phrases. Instantly on. Also available with a wireless large-key keyboard.